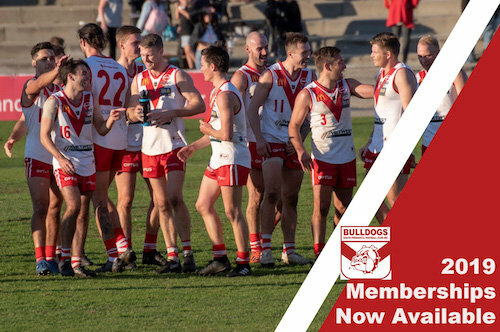 IT'S a big day at Fremantle Community Bank Oval on Saturday with South Fremantle's league side hosting West Perth in the qualifying final while the colts play East Fremantle in an elimination final. 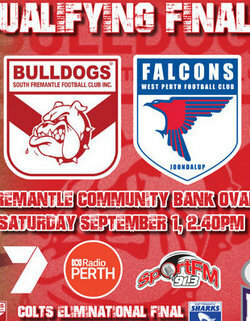 The day gets underway at Fremantle Community Bank Oval on Saturday from 9.15am with the colts elimination final between South Fremantle and East Fremantle with the Bulldogs coming off an impressive win at East Fremantle Oval over the Sharks a week earlier. 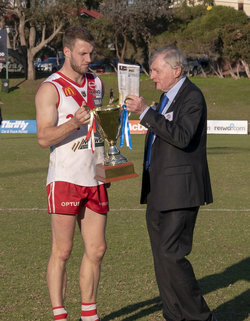 Then following a reserves elimination final between West Perth and Swan Districts, South Fremantle plays West Perth in the league qualifying final for a second time in three years at Fremantle Community Bank Oval. THE feeling is really good down at the club and amongst the boys at the moment leading into another finals campaign. 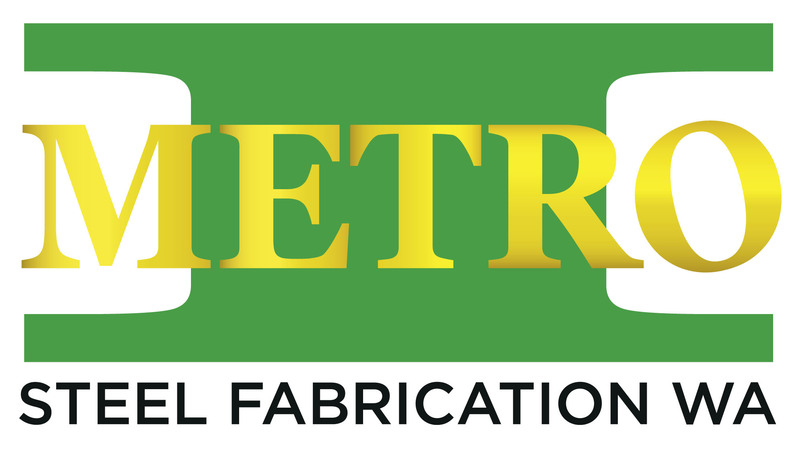 Everyone is really excited to be a part of September again. I think besides Benny Saunders we have everyone available to play this week. That definitely hasn’t been the case all year and it has been a slow burn to get everyone on the park at the same time, but that has also been a benefit as we have given opportunities to plenty of young guys who have come in and played important roles for the team. 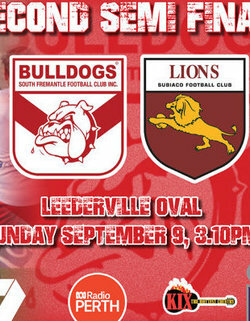 I think it will be a really good game of footy. The two times we have played them this year they have been really close and we expect the same again on Saturday. 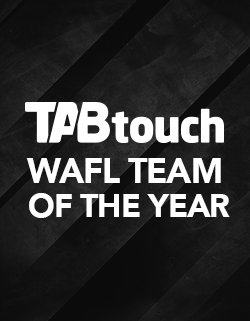 West Perth have been very impressive this year and are strong across all lines. 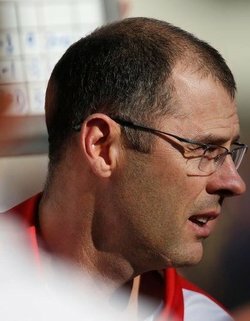 I think both teams will go into the game with confidence in their team. 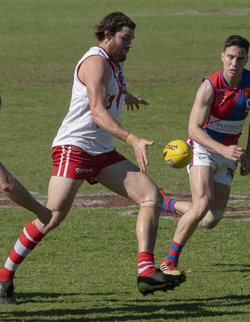 WHAT South Fremantle coach Todd Curley had to say following the Round 21 WAFL victory against East Fremantle and looking ahead to the start of the finals this Saturday against West Perth at Fremantle Community Bank Oval. QUESTION: It was a game in a lot of ways where you didn’t have a lot to gain but you would have taken a lot out of it in the end? ANSWER: We were really pleased with the way we played, with our intensity and I thought the way our guys attacked the game they worked really hard and got the rewards. 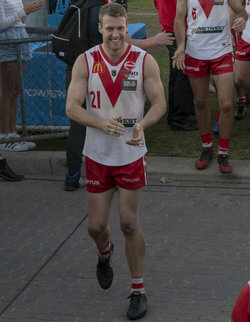 It was great for another two debutants so it was good to have a look at those guys and some guys that have had a bit of a taste for league footy but not cemented their spots. They certainly played well and that puts us in a good position with just about everyone available which is what we want. 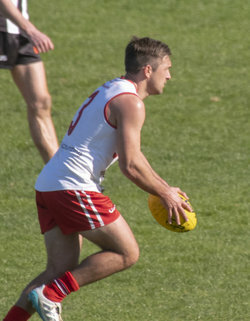 SOUTH Fremantle ensured it will enter the WAFL finals full of confidence despite the absence of a host of key players beating East Fremantle for a seventh straight time and winning on the 10th consecutive visit to East Fremantle Oval on Saturday. 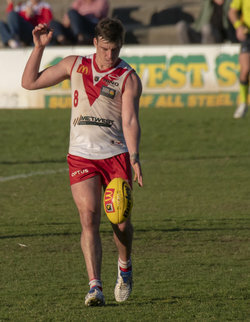 South Fremantle showed no mercy for its wooden spoon bound Fremantle rivals and after just three goals from 12 attempts on goal in the first quarter, the Bulldogs kicked 20.2 after quarter-time to just 4.5 to come away with a thumping 23.11 (149) to 5.6 (36) victory.